Community Garden; a piece of land shared by friends and neighbors for growing produce and flowers and providing opportunities for positive social interactions, recreation and education. 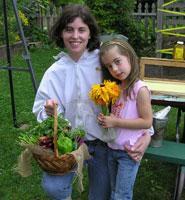 Why Belong to a Community Garden? How do I get involved in a Community Garden?